Indian food is perhaps as diverse as its culture and offers a lot more than curries and gravies. It balances all tastes — savory, sweet, salty, and sour. Indian food broadly goes according to the regions where it originates such as Northern, Southern, Western, and Eastern. Within regions it is varied according to states such as Kashmiri, Punjabi, Gujarati, Marathi, Keralite, Bengali, and so on. It is an authentic combination of the base food paired with aromatic herbs nuts, and spices. It includes various appetizers, snacks and their accompaniments, veg and non-veg stews, various types of flat breads, plain or spicy lentils, rice preparations, sea-food, street food, and sweets made of milk products and nuts. 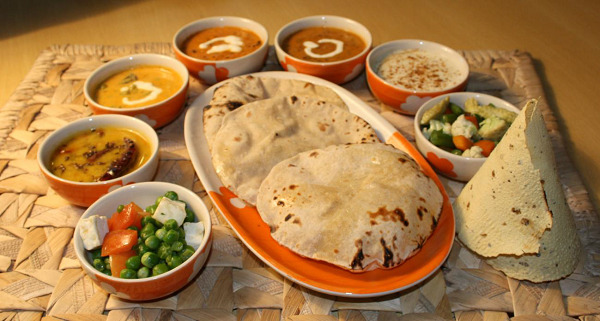 Indian food is eaten using one’s clean fingers because that way, the flatbreads are easy to portion. The spoons and forks are used for having snacks, curries, stews, rice, curds, or sweets when the need arises. Authentic Indian food is generally served in copper or brass bowls and plates or you can have it on fresh banana leaves or Patravali (Plates made of dried leaves), which help to save efforts of cleaning and disposing. France boasts of a wide range of cuisines. The cuisines follow authentic traditional cooking practices. 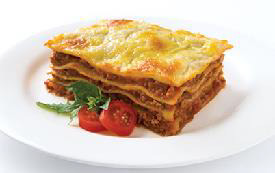 French food caters to the preparation of appetizers, salads, soups, stews, side and main dishes, and desserts. A large variety of classic food is prepared using red and white meats. Recipes have evolved with seafood, fruits, cheeses, vegetables, pastries, and chocolates using authentic sauces and dressings. Italian food boasts of classically prepared pizza bases baked with savoury toppings of vegetables, meat, and cheese. It also includes a wide range of pastas of various shapes and sizes cooked and served with authentic Italian accompaniments and sauces. The local customs of baking and cooking provide a large array of soups, salads, snacks, meals, and desserts from Italian cuisine. The food is often accompanied with beverages such as wine, champagnes, or other similar drinks. They say, Chinese food is the tastiest in the world. It includes soups, snacks, and meals prepared with rice, noodles, vegetables, meats, seafood, sauces, and seasonings. The stir frying manner of cooking brings crunchiness, texture, and adds a great flavor to various Chinese dishes. Chinese food is prepared with crunchy or leafy vegetables, bean sprouts, a variety of mushrooms, bamboo shoots, tofu (soybean curds), and spices such as chilies, ginger, Chinese celery, and garlic. The food is consumed using traditional chopsticks and spoons. The table setting displays porcelain bowls and spoons for soup, a large bowl for food kept on the flat plate underneath, Rice bowl, and a pair of chopsticks with resting stand. Gong Bao Chicken (Diced chicken cooked with dried chili and fried peanuts). Ma Po Tofu (Tofu cubes cooked with pepper powder, ground beef, and green onions). Wontons (Triangles of flour added in soup). Dumplings (Small dough disks filled with minced meat or spicy chopped vegetables, closed, and steamed). Spring Rolls (fried cylindrical rolls that enwrap minced meat or vegetables). 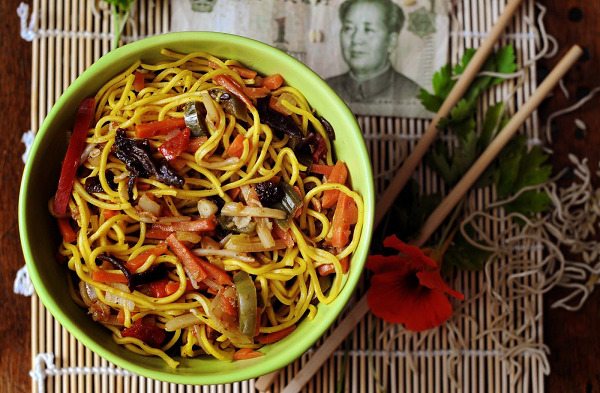 Chow Mein (Cooked and stir fried vegetables in savory sauce). Chinese food includes a cup of tea as beverage. No aerated drinks are served as part of authentic Chinese meal. Desserts are not commonly consumed in Chinese cuisine except on special occasions. The meal is generally completed with fruits. Thai food is popular for the aroma it brings with the addition of lemongrass, lemon leaves, galangal, chili, and aromatic herbs. The base food is vegetables, meats, eggs, sauces, noodles, and rice. 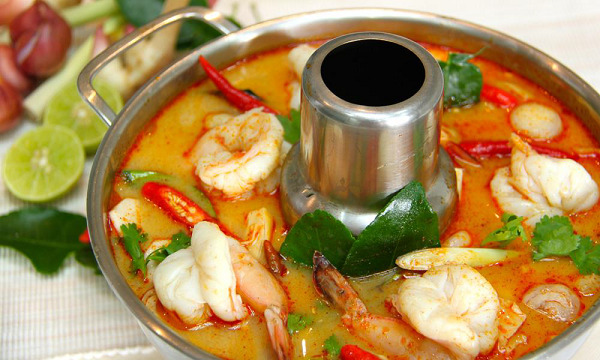 A complete Thai meal comprises of snacks, salads, soups, one-dish meals, and desserts. It makes a blend of great taste and treat for eyes too. 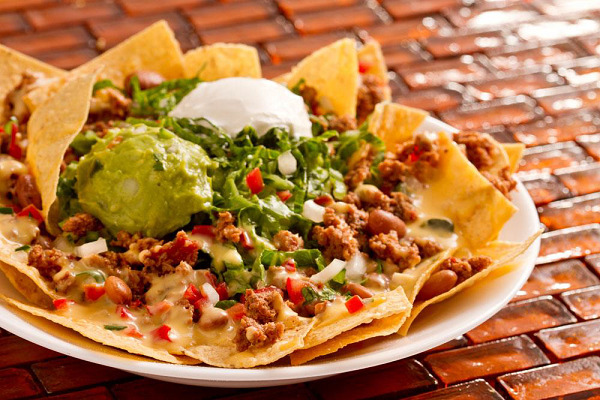 Mexican line of food is famous for spicy and tangy taste. It includes salads, snacks, one-dish meals, elaborate meals, and desserts.